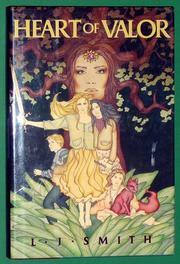 A year after Night of the Solstice (1987), Morgana--guardian of the gateways to the Wildworld--is overcome, with the help of Merlin, by her archenemy Thia Pendriel. It has been peaceful since the Wildworld evil ones (except Thia) were banished from earth and the gateways closed. Janie has grown in magical strength, while her brother and sisters are now accustomed to spells. Then a California earthquake opens a new pathway; worse, Merlin (more evil and michievous than usually portrayed) is loosened from bonds in which Morgana caught him long ago. Morgana, Merlin and Thia are hurtled into the Wildworld, where Thia falsely accuses Morgana of treason. The four children, following, are condemned to death, but a dose of Worldleaf (the ultimate truth-drug) reveals the truth; evil is vanquished, and the children are returned to earth. This has the virtues of the first book: believable children; an acerbic, but endearing, talking vixen; a conflict between immortals. Adding the Arthurian legend, the legendary wild hunt, and too many talismans of power freights the narrative with too much baggage; still, readers who want to know what happened to Janie and her siblings are sure to enjoy this sequel.